The following products can help your loved one complete many daily tasks with little or no assistance. The ability to complete tasks independently contributes to increased self-confidence, improves self esteem and should be a part of every person’s independence tool box. Recent studies have even shown that when someone stops doing daily activities it lowers their quality of life, increases depression and increases the likelihood of dementia. 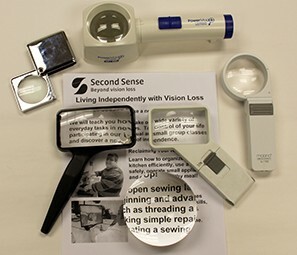 All products can be purchased from Second Sense. Just call Brian Hollandsworth at 312-236-8569. 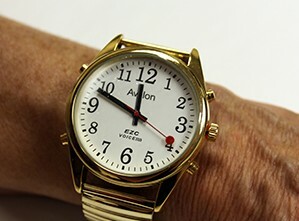 A large face watch has good contrast and large numbers for easy readability. A talking watch can announce the time with a touch of a button and also has capabilities of setting an hourly announcement and alarm. Talking clocks come in a variety of sizes and shapes and are stable to put on a nightstand or tabletop. 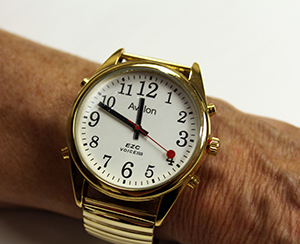 Time is announced with the touch of a button and the clocks are easy to set. Some talking clocks offer hourly announcements, large displays, date announcement, volume controls or different alarm sounds. 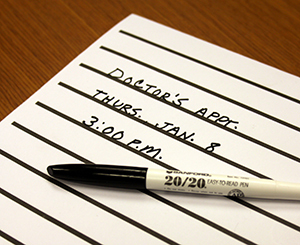 A bold, felt tip pen that makes handwriting stand out. The pen does not bleed through paper and does not leak. When paired with wide-lined paper, this pen can help if your loved one is having difficulty reading notes, phone numbers or shopping lists they have written. Digital audio recorders are great for taking down important information such as doctor’s instructions, medication dosages, important phone numbers and dates. Recorders range from very easy to use to more technical with varying amounts of recording time and battery life. Writing guides come in a variety of sizes and are designed for specific tasks. Sign a receipt, write a check or address an envelope following the guides. Guides are made from durable plastic, are lightweight and easy to carry to help manage everyday tasks without assistance. Large print wall calendar or spiral bound datebook provide ample space to write down appointments and special days. The days and months are in bold print for easy readability. A large print address book is an easy way to keep track of contacts, with plenty of space to write phone numbers and addresses. Magnifiers help with reading small print or items with fine detail. Available with or without light, hand-held magnifiers come in a variety of sizes and strengths and are great for reading price tags, food labels or medication bottles. Electronic magnifiers offer greater magnification options. They are great for reading longer text, writing and looking at photos. Many offer options that allow distance viewing. Bump and locator dots come in a variety of sizes and shapes providing a way to differentiate between many surfaces. 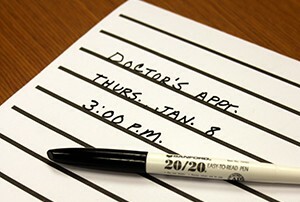 These tactile reference points are great for labeling flat panels or dials on microwaves, stoves, washers and dryers. 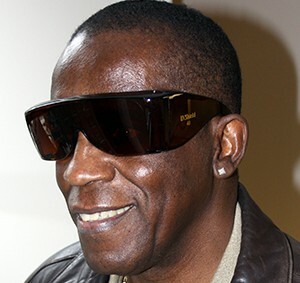 Sunglasses with UVA and UVB protection are essential for protecting eyes from ultraviolet rays that can damage eyes. Sunshields come in a variety of tints to help with glare control both indoor and out. They have a comfortable fit and can be worn over an existing pair of eyeglasses. A tray stops spills and catches crumbs and pills that would otherwise roll away. A tray can help anyone stay organized doing a variety of tasks while minimizing mess and frustration.